This diamond halo engagement ring semi mount is designed for a round brilliant shaped diamond. This is the diamond semi mount only. No center diamond is included. This halo style engagement ring can be made for any size and shape diamond or gemstone. 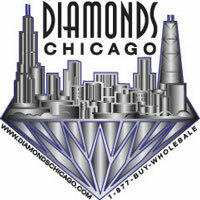 Click here to select a certified loose diamond centerstone. 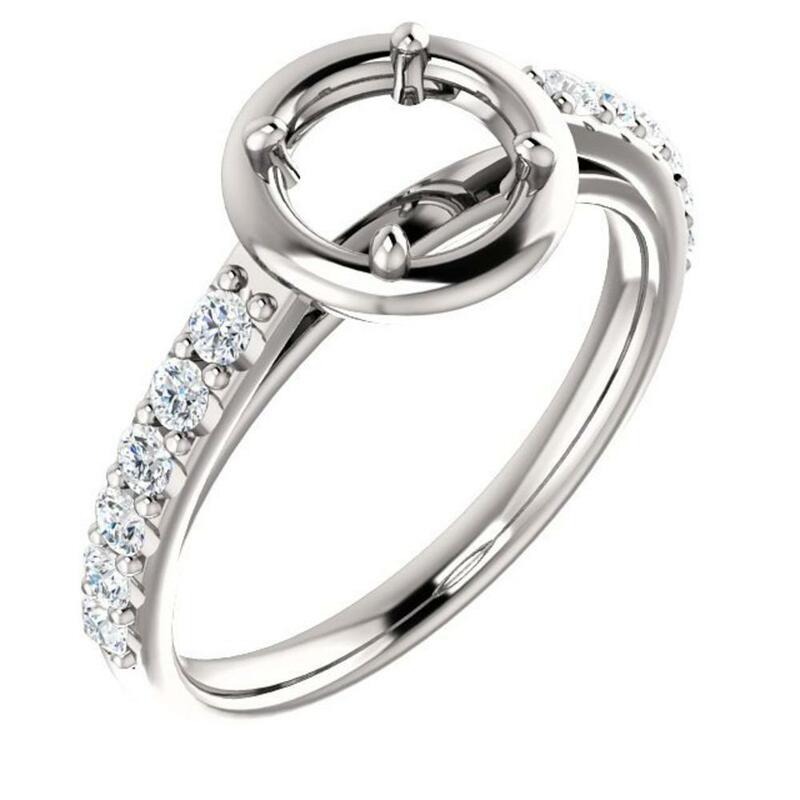 Optional matching ladies diamond wedding band available. Diamonds Chicago has over 5,000 diamond engagement ring semi mounts and over 50,000 certified loose diamonds to choose from. Please call 1-312-422-0400 for an appointment to come in and find your perfect engagement ring.